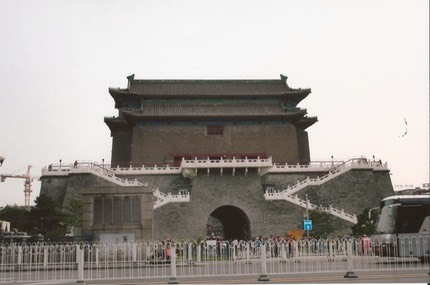 2 nights in Beijing were the bookends to our Mongolia trip and we really only had time to see a few of the main sights, and enjoy some food and the local Great Wall red wine. The smog was very noticeable but Ok for a couple of days. One really memorable things was the fact that everything spoke to you. Shops, buses etc, all blaring something out of little speakers. 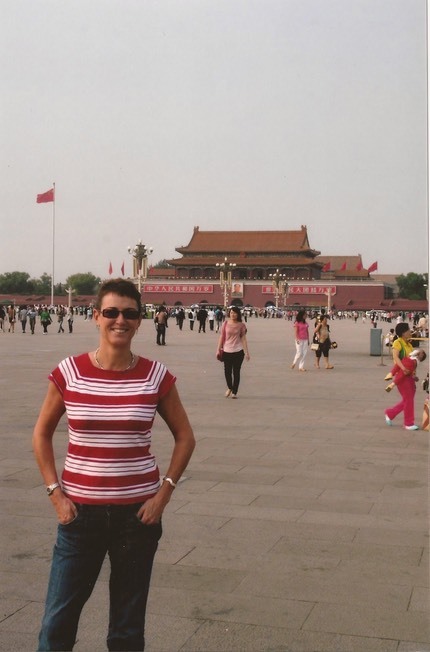 Jonna in Tiananmen Square. Airport style body scanner surround the area and there is a lot of surveillance activity in the square. Our return to Beijing following the traumatic holiday in Mongolia, left us in no fit state to tour anything else. We checked in to our hotel, set off for Raffles and found red wine, luxury. We ate in the same restaurant as before which was, once again, very tasty. We did not repeat the vegetable dish Jonna ordered last time, which turned out to be just a huge plate of red chillies. After a good night's kip, the airport beckoned and we hit the lounge. It serves dim sum for breakfast. Cool.